Now available in paperback, Kindle and PDF ebook editions, published by Sonar 4 publications. 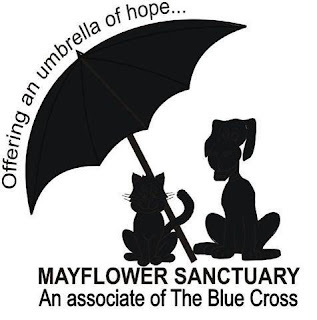 Every paperback copy sold carries a $1 donation to The Mayflower Animal Sanctuary. Thanks to everyone who helps support me in my efforts to fund raise any amount, large or small for the sanctuary. Those wishing to help the sanctuary should note that only the paperback edition carries the $1 donation. The book will also be released in the UK very soon. the discovery that could cost the whole team their lives! Following on from the USA release of my latest novel, the final part of my Jack the Ripper trilogy, Requiem for the Ripper is at last available in paperback as well as in e-book format in the UK too, at Amazon.co.uk. E-book buyers should got to a different page at AmazonUK. The paperback is awaiting stock, but can be ordered now and your account will not be debited until the book is dispatched. The book can also be found in stock at Amazon.com and at the publisher's site, at Double Dragon Publishing where the book can be obtained in multiple e-book formats. Kiss of Life is the sequel to 'Dracula Doesn't Live Here Anymore.' A year after meeting the enigmatic Christina Radaluc during his investigation into the so-called Vampire Murders in Romania, investigative journalist Alan Dexter finds himself beset by a recurring nightmare. Christina, he believes, is calling to him. She is in trouble, and needs his help, though how she could possibly reach into his dreams is a mystery to him. On such flimsy 'evidence' Dexter enlists the help of his friend and fellow journalist Karen Bailey, who, though skeptical of his story, agrees to travel to Romania with him to assist in his quest to find and solve the mystery of Christina's appearance in his nightmares. On arriving in Romania they discover that not only Christina, but her brother, a local police officer, have been missing for months, and the pair set out to find them. Dexter retraces his steps from his previous visit to Romania hoping to find some connection with his previous investigation and the current disappearance of the woman he realizes he has fallen in love with.What they discover however, takes them far beyond the realms of the believable as the intrepid pair enter a dark world of long -forgotten practices and fear-filled corridors. Do vampires really exist? Can Dexter and Karen save the beautiful Christina and her brother from the jaws of a living nightmare far more terrible than anything Dexter's own fevered dreams could produce? As the story moves from the city to the cold, bare, mountainous regions of Transylvania, land of myth and terrifying legend and the ancestral home of Christina's family, Kiss of Life moves ever closer to it's shattering and terrible conclusion. Tranquil suburban Richmond-on-Thames, home to such landmarks as Hampton Court Palace and Kew Gardens becomes the setting for a series of shocking and particularly gruesome murders that leads Detective Inspector Sean Connor and his team into a labyrinthine investigation in which all roads lead towards a thirty year old unsolved murder. 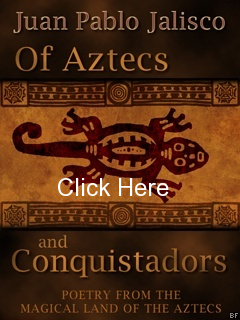 The victims, all apparently unconnected to each other, are being dispatched by the use of a singularly unique poison, previously more closely associated with the notorious medieval Borgia family. As the murders begin to multiply at an alarming rate Connor finds clues hard to come by, and every lead takes him down yet another blind alley as the killer seems to be one step ahead of the police at every turn. Together, he and his assistant Sergeant Lucy Clay must piece together the shreds of evidence that will lead them to the mysterious "Chocolate Woman" and in turn to the brain behind the horrific murders that soon come to be known as "The Purple Death." Available from Double Dragon Publishing Amazon.com and in the UK from Amazon.co.uk AbeBooks.co.uk and all good retailers. 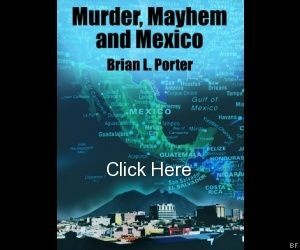 From award winning author Brian L Porter comes the thriller sensation of the year. ’Pestilence’ leads where others will follow in creating a scare-fest that will terrify, entertain and astound the reader. The year is 1958, the place, an idyllic village in the heart of the English countryside. Olney St. Mary has stood in its peaceful rural location for over 900 years. Suddenly however, the peace of the community is shattered when two teenage boys are stricken with a mystery illness. The newly arrived village doctor suspects ‘flu to be the cause of their malady. Her initial diagnosis is terribly and tragically wrong! Before long, Doctor Hilary Newton and the residents of Olney are plunged into a nightmare of Biblical proportions as the death toll rises and no cure can be found for the disease that ravages the local population, despite the doctors employing the latest antibiotics available to them. Somehow, this plague is different! Help arrives in the form of a medical team from the outside, but the bodies continue to pile up. Someone, somewhere, perhaps within the community itself, knows the reason behind the pestilence that has struck at the heart of the village, but will the medics learn the truth before it’s too late, or will they too join the growing list of names that appear on the roll of death roll in Olney St. Mary? When a mysterious explosion wreaks havoc in the children’s playground, followed by a second lethal blast in Olney’s makeshift field hospital the sinister and unbelievable truth behind the pestilence begins to slowly reveal itself. 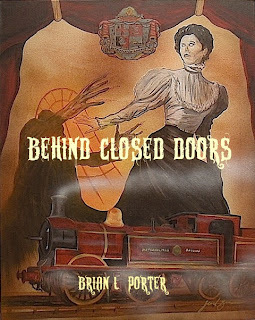 Following on from the success of ‘A Study in Red – The Secret Journal of Jack the Ripper’, WS 1888 member Brian L Porter’s sequel to the original, ‘Legacy of the Ripper’ has now been released by Double Dragon Publishing, (Ontario) and is currently available in paperback and e-book editions. Jack Thomas Reid, nephew of Robert Cavendish who first appeared in A Study in Red – The Secret Journal of Jack the Ripper languishes in the secure Ravenswood Psychiatric Hospital, sentenced to confinement ‘at Her Majesty’s Pleasure’ for a series of apparent ‘Jack the Ripper’ copycat killings in the picturesque English coastal resort of Brighton. Jack’s defence at his trial, that he is a descendant of Jack the Ripper and that the crimes were conducted by an unknown ‘mystery man’ and that Jack was drugged and made to appear as the killer was regarded as so preposterous and unbelievable that his sentence was never in doubt. When one of the policemen who conducted the original investigation into the murders begins to doubt the truth of the case against Reid, Sergeant Carl Wright and Ripperologist Alice Nickels begin an investigation into his story. What they find is told through the voice of Doctor Ruth Truman, Jack’s psychiatrist at Ravenswood, and through a series of events that take place as far afield as the beautiful island of Malta and in Warsaw, Poland. Slowly but surely and with the help of Wright’s boss Inspector Mike Holland, the link between the events that shocked and terrorized Whitechapel over a century ago, and their link with the case of Jack Thomas Reid and the ‘Legacy of Jack the Ripper’ is revealed. The book is currently available from Amazon.com at http://www.amazon.com/gp/product/1554046904 ISBN 1554046904 and from Amazon UK as well as from other retailers. 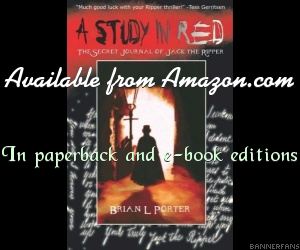 I'm the award-winning author of the novel 'A Study in Red - The Secret Journal of Jack the Ripper' winner of The Preditors & Editors Best Thriller Novel of 2008 Award. The book, a dark psychological thriller was also voted the winner of The Authors Lounge Best Cover Illustration Award for May 2008, and is soon to be made into a motion picture by Thunderball Films LLC of Los Angeles. The following trailer has been released by Thunderball Films as a taster of what's to come. My childrens and young adult books are written under the name of Harry Porter and once again 4RV Publishing will be responsible for releasing the majority of my work in these genres. 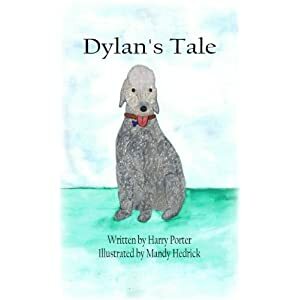 For younger children, they will be releasing a short illustrated book titled 'Alistair the Alligator, in the summer of 2009 which will be followed by the first in a major series of young adult books under the collective heading of 'Harry Porter's Dog tales. These books will each feature the individual tales of one of the wonderful rescued dogs that share my home, beginning with 'Tilly's Tale' in the summer of 2009. These beautifully illustrated books are designed to be suitable for all ages and to help raise awareness of the plight of abused and abandoned dogs around the world. For further details please go to Harry Porter's website at http://harry-porter.webs.com or visit 4RV Publishing. Already released under the Harry Porter label is 'Arcadia 22 Heavy - Mayday!' an exciting young adult short story e-book available from Mythica Publishing. and from Amazon and other retailers. My new novel, Behind Closed Doors, the sales of which will help the Mayflower Animal Sanctuary, just received its first reader review at Amazon, and it was a fantastic, 5 star one as well. How r u Brian?? havent hear from you in a long time?? R u ok? hows the back? just droppin by to say hi and see how u r ?? Congratulations on your book. I like your page and profile pic. Brian, I voted for you in all the pertinent categories. Thanks, Brian, for becoming my friend. Have a nice day and good luck in the competition . In my eyes, you're a SHOO-IN for any and all awards. That is just fine. By the way, we had the chance to vote for you. Good luck! It would be great if you would e-mail all the information ahead of time. We will have it ready by the time the book arrives. Sorry about that. We slowed down for the holidays. Do you want to provide a book list so that we can include that with the contest promotion page?